My brother lives in Queens and we visited in January. 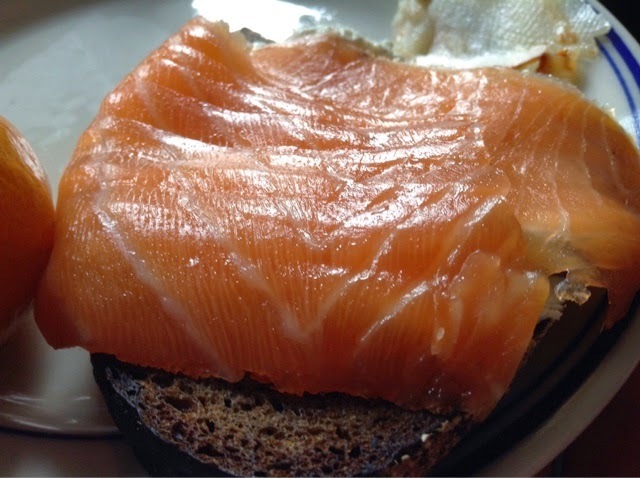 One of the many delights of NYC, that hard city, was getting a wad of Russ and Daughters smoked fish to eat on black rye in the mornings before launching into museum oblivion. That's right. Bleary-eyed after a night blasted by the nearby thundering of the 7 train and the neighbor's small concert of all-night anime, what could be better than a cup of nespresso and a tender slab of nova lox or smoked sable on a dense plank of black bread? 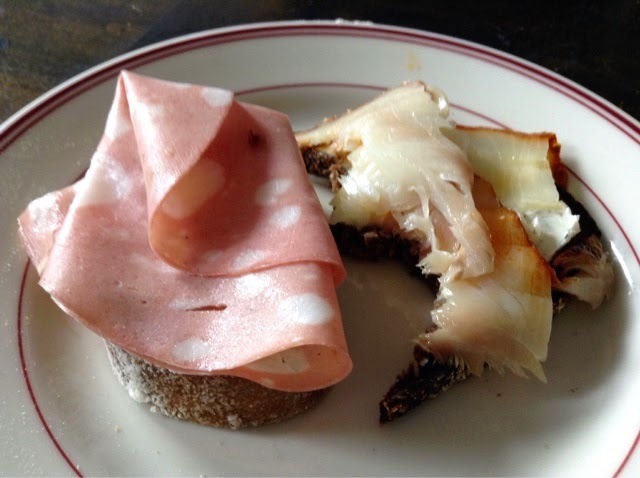 Maybe a slice of mortadella (acquired elsewhere) just to make things sufficiently un-kosher. You can just get anything in New York City even while you are dying from the rent and the f-ing noise. It's beautiful to down a bowl of the best noodles outside of Shaanxi and then go home and be unable to sleep because of the noise. Earplugs are no match for the 7, but, man, the food is phenomenal.